Is Operation Neon Just A Load Of Hot Gas... By Jim Thomas. Many drivers said nothing would come from the threat of demonstrations. But they were wrong. Recent compliance action is a direct result of tactical operations carried out by rebellious and more militant Cabbies. 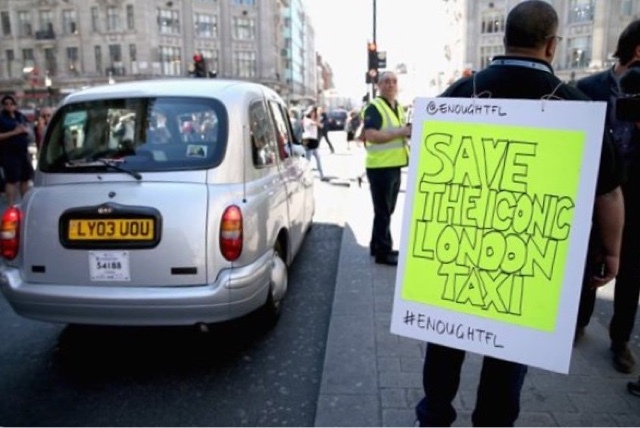 After massive trade support for direct action called by the United Cabbies Group, with the threat of more to come and in the wake of the work carried out by the GLA, an executive decision to extend Operation Neon into June has been made by Surface Transport. Doing a great job with her teams. But will TfL just spin the results? Where are the arrests, the vehicle seizures? Another factor being a small band of militant Taxi drivers who have modelled themselves on the old "Twitter Action Group (TaG)". 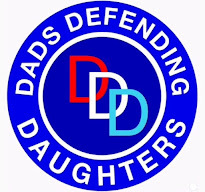 They are a determined bunch who go out at night and take back the ranks which were/are being usurped by rogue minicabs. This new group who called themselves the Mayfair Mob were swiftly follow by the Shoreditch Mob and other groups are begining to emulate the original actions. These tactic are proving highly successful. On the surface (excuse the pun), Op Neon looks to be successful, but brushing aside the window dressing, are lessons truely being learned? So far, compliance teams have been arriving at major tout hot spots in Hi Viz jackets, doing document checks and moving on cars/PHS parked on ranks, plus tickets are being dished out by Westminster City marshalls. This has been well received by Taxi drivers, but as soon as the compliance teams leave and walk on to the next rank, the touts come back. 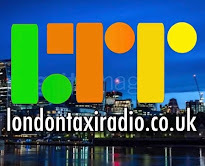 On Thursday night, the big guns from TfL turned out in force, along with a few cab trade representatives, plus BBC Radio London's Eddie Nester. Even in the company of colleagues wearing hi-viz vests, within minutes of entering Wardour Street, they were approached and touted. 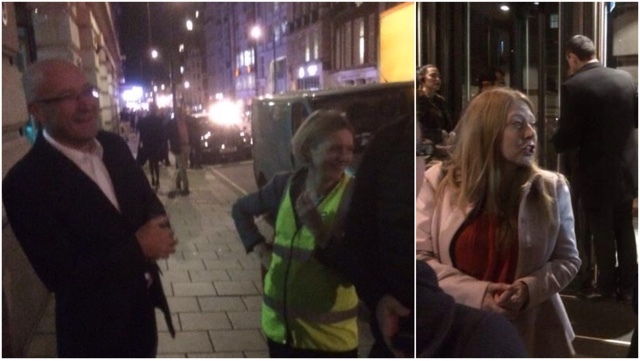 In addition to Operation Neon, on Friday night the deputy Mayor was taken out and shown the scale of touting going unrestricted, all over the capital. With Uber alleged to have 18,000 drivers signed up to their app and growing by 1,000 every month, the effect on traffic in central London has become immense. Although most Uber operatives drive "Hybrids" the added congestion must be affecting the air quality figures dramatically. Last weekend an accompanying compliance operation found, that between 9pm and midnight 10,000 Uber drivers were signed on to the app. This figure is distorted as many drivers regularly sign out to cause a shortage of availability, resulting in price surging. In the 3 hour period, 38,000 jobs were dispatched through the app. That's just over 1 job per hour-per mobile. How are these drivers surviving? That's simple....they've learned to tout. Touting gives them a better hourly rate as they charge what they like and don't have to pay 20% of the fare to the company. Plus it's unrecorded cash in hand. Touting should be a major headache for Surface Transport but of course they normally turn a blind eye, putting out statements such as "Touting has dropped by 77%". The statistics are easily massaged by asking members of the public who have no idea what a tout is - "Have you ever been touted". Touts Double parked at Novikov's after COs Leave. Recently Taxi Leaks carried out our own survey, asking only passengers picked up from clubs/bars/restaurants over an approximate three week period "have you been touted recently leaving a night venue, after first taking the trouble to explain the difference between a licensed Taxi and an illegal tout. Of the 200 passengers spoke to, 172 said they had recently been approached by touts. We will repeat this survey in 3 months and 6 months then compare our findings to Garrett's statistics. Let not forget, this is the man who claimes TfL have over 400 cab enforcement officers, dealing with touting. 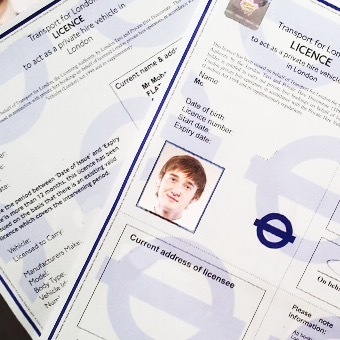 Last year, the BBC presenter Louise Hulland in an Inside Out London documentary, stood outside night spots asking young girls if they knew the difference between a licensed Taxi and a Minicab....the answers were eye opening. Most of the night revellers interviewed believe the touts outside clubs are legal, as they are always there! Plus they are mostly marshalled by clipboard johnnies, giving them an air of respectability. Just moving on these touts is not solving the problem. The Licensed Taxi trade is on its knees, it's no secret. But it's not Uber that's killing us, they are just a symptom of a disease that has been allowed by a weak TfL to become viral. PHVs are being allowed to form unauthorised ranks anywhere they please and openly tout. 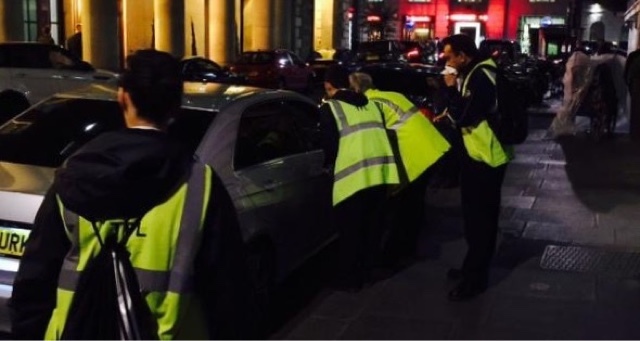 Ranks all over London are being used by Minicabs to openly tout and at Heathrow, Private Hire cars are illegally plying for hire at drop off points. At present, These vehicles are waiting approx an hour for a job while licensed Taxis are doing anything up to 5 hours in the feeder park, before getting off. 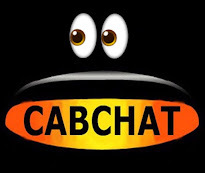 This is not an incurable disease, the antidote is readily available....it's called Cab Enforcement. We need proper Cab Enforcement, warranted officers with the power of arrest. While "illegally plying for hire" is only a reportable offence, touting which requires proof of solicitation, is arrestable. Drivers caught touting can be taken to a police station-if they can find one open-where they can be fingerprinted and DNA samples can be taken and placed on a national data base. It will be interesting to hear what Garrett Emmerson, Helen Chapman and Siwan Hayward have to say about touting they witnessed out on the streets on Eddies Show, Monday. We all hope their eyes have been opened and that they will take more action in a regular basis.... But, I wouldn't hold my breath. A livery driver for a fleet owner in Boston was looking for a way to obtain his own car and drive for Uber, the popular ride-sharing service. 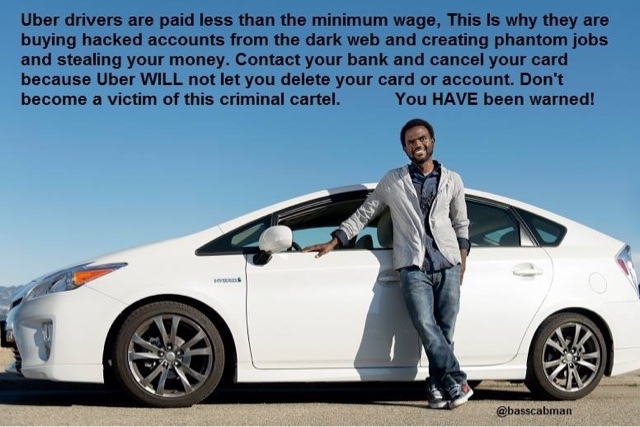 He heard about a vehicle financing program Uber was promoting to drivers who, like him, had a poor credit history. Roger, who asked to use only his first name for business reasons, signed a lease in September with an Uber-referred lender for a brand new Chrysler minivan. Now less than a year later, Roger says he is on the brink of bankruptcy while facing weekly payments of $450 for his car lease plus late fees. Uber, with a head-spinning valuation of $50 billion, has become a dominant force in the passenger transportation industry in large part by luring more drivers to its platform than anyone else. In an effort to maintain that edge and expand its pool of self-employed drivers beyond those who already own a car, the company has been steering potential drivers with bad credit to subprime lenders whose leases lock borrowers into years of weekly payments at sky-high interest rates. On its website and in promotional emails to current drivers, Uber promotes its vehicle solutions program with pitches right out of the subprime lending playbook. “Credit challenges? No problem. Get on the road in 2 days with $0 down,” reads Uber’s driver signup page. 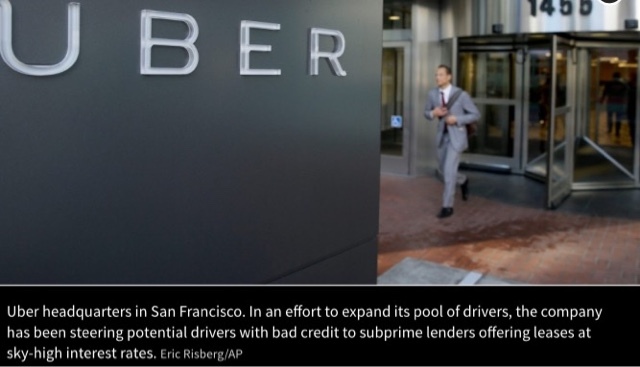 One of Uber’s first subprime leasing partners was Santander Consumer USA, a subsidiary of the Spanish banking giant. The lender drew the attention of federal authorities in 2014 when the Department of Justice issued subpoenas to the companyas part of an investigation into the subprime auto loan market. In February Santander agreed to pay $9.35 million in a settlement with the Justice Department for illegally repossessing more than 1,000 vehicles from active military personnel. Santander is Roger’s lender. He says his 52-month lease calls for weekly payments of $227 on the minivan, to be deducted automatically by Uber from his earnings. Roger knew this was a steep lending rate but was confident he could handle it. “Even though I was paying through the nose for the car, I thought that it would be OK — I’d be making enough money to cover it.” After a series of missed payments, which Roger blames on Uber’s late start in making its automated deductions, those weekly payment amounts have now risen to $450, he says. Santander declined to comment when asked about the terms of its leases. A review of a Santander lease agreement with Scott Eddy, an Uber driver in San Diego, showed weekly payments of $293 on a 52-month lease for a current-year Toyota Avalon. Those payments add up to nearly $66,000 over the life of the lease, for a car with a top sticker price of $39,000. The lease also states that the car may be used only “as a livery vehicle to meet riders’ requests conveyed through Uber,” prohibiting not only personal use but also preventing drivers from working with a competing ride-share service such as Lyft or Sidecar. Roger Bertling, an attorney and Harvard Law School instructor who specializes in predatory lending, says these terms are bad even compared with those generally used with subprime borrowing. “That lease is as bad as any I’ve seen on the predatory lending level for autos,” he says of the Santander agreement. While borrowers with poor credit always face high interest rates, Bertling cites the automatic weekly payment deductions and restrictions against personal use of the vehicle as being unique in the subprime auto loan industry. There’s a big incentive, however, for lenders to make these high risk loans. In a scenario reminiscent of the mortgage crisis that led to the Great Recession, there’s a big market on Wall Street for bundled subprime auto loans. In September 2013 a Santander bond sale of securitized subprime auto loans fetched $1.35 billion. A similar offering by the company last month brought in $712 million from investors. An analysis commissioned by The Wall Street Journal of 2014 subprime auto loans found that among borrowers with low credit scores, more than 8.4 percent missed payments within the first eight months of the loan, the highest delinquency rate since 2008. In a written statement Uber said, “The average price of an UberX car financed through the vehicle solutions program is $23,000 in the U.S. … and the average payment for UberX car financing … is $171 per week.” The company said “thousands of driver partners” have taken advantage of these financing offers. Uber declined to say how many of its drivers have ended up in default. The company has repeatedly touted the high earnings of its drivers, saying in 2014 that the average income for New York City UberX drivers working 40-hour weeks was about $50,000. Drivers in a class action lawsuit against the company claim that numbers like that are misleading since they don’t account for the significant expenses Uber drivers must shoulder. Because the company classifies its drivers as independent contractors, business expenses like gas, car maintenance and primary auto insurance are paid by the drivers, not by Uber. Volvo's Self-Stopping Car System....Op's. But make sure you've paid for it. One of their new cars was being tested for the ‘pedestrian detection’ feature when it rammed into someone. The XC60 is seen reversing in a Dominican Republic car park. The driver is believed to have accelerated forwards and the car is seen smashing into a bloke with his hands in his pockets. It left two men with bruising and minor injuries. The car giant said the people who bought the Volvo did not pay for the pedestrian detection functionality. Spokesman Johan Larsson said: ‘The Volvo XC60 comes with City Safety as a standard feature however this does not include the Pedestrian detection functionality. This car was being driven by a human being. Moreover, this vehicle was not fitted with Pedestrian Detection, a Volvo safety system designed to identify pedestrians and apply a vehicle’s brakes. Instead, this vehicle was fitted with a feature called City Safety, which is standard in all Volvos. This system contributes to safer driving in heavy city traffic by avoiding or mitigating rear end collisions with other vehicles in low speeds by braking. Unfortunately, it didn't seem to work on this occasion. Mytchett, Surrey, 28 May 2015 – Frazer-Nash Research Ltd and Ecotive Ltd, the makers of the all-new Metrocab – the only zero-emissions capable black cab currently operating in London, are pleased to announce that the Metrocab for the UK will enter volume production in Coventry next year, as part of a new partnership with manufacturing specialist, Multimatic. Multimatic is a privately held global corporation supplying components, systems and services to the automotive industry. The company is headquartered in Markham, Ontario, Canada, and has operating divisions in North America, Europe and Asia, with manufacturing partners in South America and Australia. Multimatic’s core competencies lie in the high volume manufacture of automotive mechanisms, structures and suspension components, as well as the design and development of automotive body and chassis systems. Multimatic Niche Vehicles (MNV) manufactures complete cars as well as body/chassis assemblies for low volume programs such as Aston Martin’s One-77, Zagato and GT12, the Lagonda Taraf and Ford GT. Multimatic Engineering supplies customers as diverse as Red Bull Formula One, Tesla and Mercedes AMG. 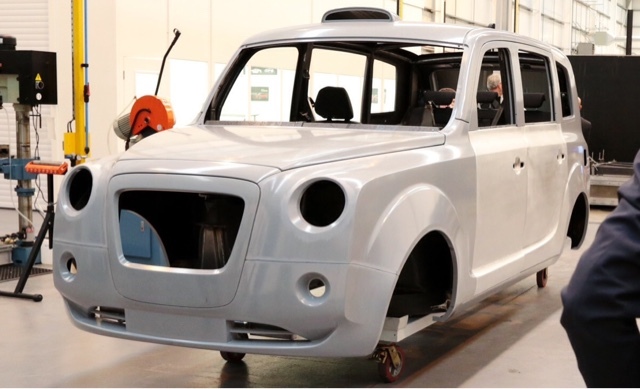 Multimatic has a well-established manufacturing facility in Coventry, which is now undergoing a programme of expansion to accommodate the start of Metrocab production next year. 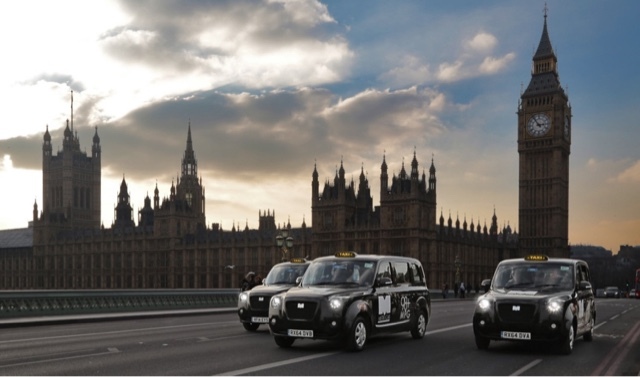 The Metrocab is available now on the streets of London as a small trial fleet operated by Comcab, and is the first zero-emission-capable taxi to be licensed by Transport for London to operate on a trial basis as a London Hackney Carriage. The purpose-built all-new Range-Extended Electric (REE) Metrocab taxi represents the cutting edge of green transportation technology. The vehicle incorporates the latest technology for comfort, performance and safety, providing unrivalled efficiency and economy with significantly reduced daily operation and maintenance costs together with customer benefits including full disabled accessibility, panoramic roof for views of the city, increased luggage space and unrivalled comfort for up to seven passengers. The taxi is driven by two electric motors, with a 1-litre petrol engine range extender coupled with an optimisedgenerator to recharge the battery pack (which takes as little as 10 minutes while driving). Charging is also available via any mains electric outlet providing even lower fuel consumption. After an eventful week in the trade, it's been unfortunately concluded by yet again a trade organisation suggesting that abolishing Rate 3 will revive our fortunes. I have previous written on this >Click Here<, but obliviously need to restate the case so that YOU the working driver are fully informed. 1. Price wars can only be won by those with the lowest cost base, that ain't us is it? 2. The unlawful predatory competitor that this hare brained initiative aims at has a yield pricing (surge) model that results in fares more than Rate 3 at demand times. 3. The average Rate 3 journey is under the minimum fare charged by large PH firms. 4. 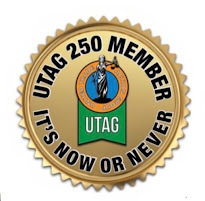 Once this is 'given away' without any compensating factor such as a realistic flag fall we won't ever get in back, have not the lessons of this organisation conceding an age limit rather that condition based system been learnt? 5. 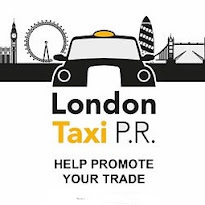 Our rate of pay is known, it's on the fare chart, in the interests of transparency, it's absolutely required that those proposing the grand idea publish detail of exactly what they get from the cab trade such as stand down pay, expenses and reduced or free rental cabs. 6. Can we assume that they have negotiated lower cab rentals, insurance and servicing across the entire city for the whole trade to take account of this price drop? 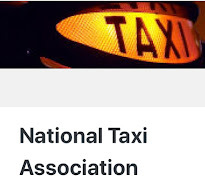 Here's a suggestion: why don't the committee members of this organisation have their cabs emblazoned in big letters '20% off your fare in this cab', work nights for 6 months and through an independent verifier let us know how busy, busy, busy they are? They could even have their own special rank and call themselves Lidl Cabs. In comparison to this, Cecil Selwyn's idea to concrete over the Thames to increase road space seems very sensible and achievable. Let us hear no more of it! If my memory serves me well, it was in fact Monty Schiemann who said the Thames should be diverted at Chiswick, concreted over and a 6 lane motorway put down, so industrial and continental traffic could bypass London's busy streets and connect through to the A40 with exits at both intersections with the North and South Circular. This was many years before the conception of the M25. Looking back now...was it really such a crazy idea? YES I KNOW THE WAY. 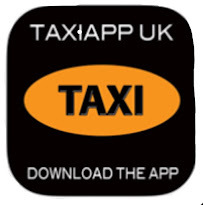 Thousands of users of taxi app Uber have reported their accounts being hacked or hijacked. Uber say there has been no Hack, it's just weak customer passwords! "Bilaal, your Uber is arriving now," my dad was told. My dad's name is Ed. And he hadn't requested an Uber car. He's not alone. The US website Motherboard reported two months ago that "thousands" of Uber account details were available to buy for as little as $1 each on the anonymous "dark web". 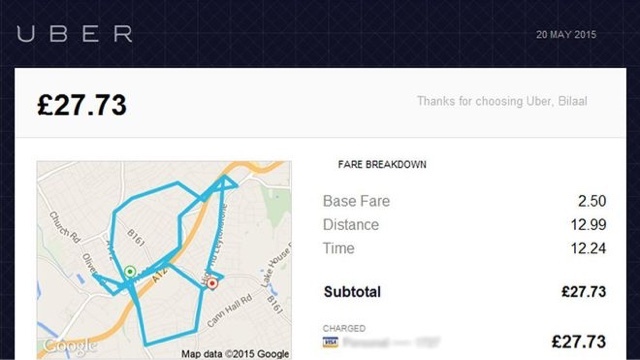 Outraged users have been complaining about being charged for various fraudulent taxi rides. One Londoner was hit with a bill of about £3,000 for 142 journeys - about 10 a day - over the course of two weeks. Other "phantom" trips have supposedly taken place in different cities, or even countries. Fraudsters often try changing the phone number or email address attached to the account, preventing the account holder from immediately realising they've been hacked. Bilaal was less ambitious. He changed the name on my dad's account to Bilaal, presumably so he wouldn't accidentally give himself away if the driver asked for Ed. And his first trip wasn't exactly what you'd expect from a joyriding, dark-web-using Uber hijacker. It lasted 45 seconds - a distance of 0.12 miles - and Bilaal stayed in a single street, near the University of East London's student union. 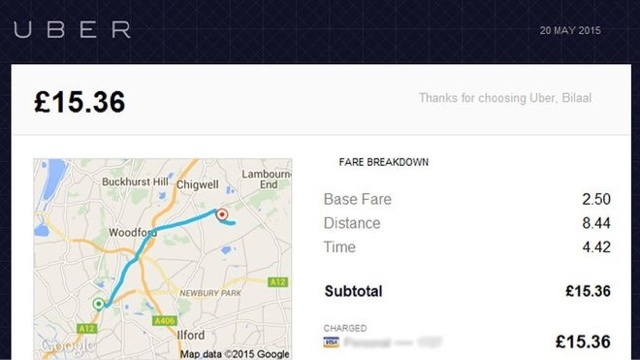 This was at 09:25 and it didn't even cost enough to cover the £5 minimum - so Uber automatically topped it up by £2.24. Question marks over Uber's security were also raised in February, when news arose of a previous security breach concerning the details of about 50,000 drivers. "It looks like someone may have accessed your account illegitimately. Whilst this may be the case, please note that our team has investigated and found no evidence of a system-wide breach at Uber." But it took a while for my dad to get a response, something that has irked numerous other users. In the meantime, at 09:31, just five minutes after his first ride, Bilaal got another Uber from further down the same road - and made an equally baffling journey. In a 46-minute ride, Bilaal went a total distance of one mile - ending up on the opposite side of the same roundabout he'd started at, and costing £10.63 to my increasingly frustrated and perplexed dad. "He's either someone visiting all his mates or he's a drug dealer," my dad said at the time. Twice at this point he'd received the call saying his Uber was outside. Twice he'd said: "I didn't order an Uber, cancel it". Twice he'd been sent a receipt. And twice he'd replied with requests for Uber to do something. 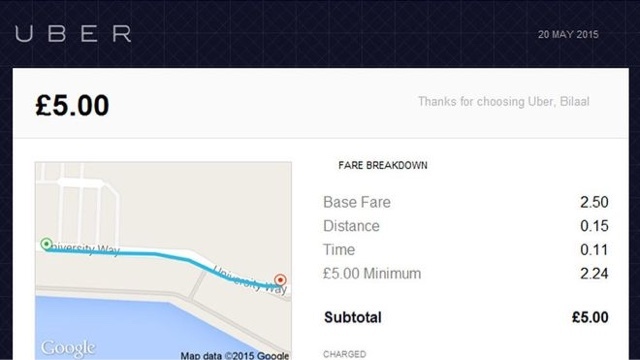 He heard nothing from Uber - and for a while Bilaal went quiet too. He suddenly resurfaced an hour and a half later on the A12 in London - a fair distance from where he'd been dropped off - taking a 29-minute, £15.36 trip out to Chigwell, in Essex. Despite rejecting any possible security breach on their system, Uber has acknowledged the issue and promised to refund all fraudulent rides to anyone whose account has been compromised. My dad was reimbursed and received several apologetic emails the next day. "We can confirm that we haven't had any breach," says Harry Porter, Uber's spokesperson in the UK, Ireland and the Nordic countries. Other companies have experienced similar security issues at around the same time, he says. At the end of March, British Airways' Air Miles accounts were among those reported to have been cyber-attacked. Amazon, Netflix, EE and Vodafone accounts are all also apparently available to purchase on the dark web. "The hypothesis that we currently have - and it seems to be correct - is that an e-commerce or online company somewhere has had some kind of breach," Porter says. "And what people are doing is they are trying those login details against a number of other online companies - Uber is one of them - and some of these are getting through." "That is quite plausible," says Dr Steven Murdoch, a cyber-security expert at University College London. It's still extremely common for people to use the same password on numerous websites, he says, and Uber uses email addresses rather than personalised usernames. Sellers can get access to large databases of personal details - either from the dark web or the internet - and then test them across various websites to see if they're of any value, Murdoch explains. "If it's just a database of usernames, email addresses and passwords, that's not worth very much," Murdoch says. "That gets sold as a big file for a very small amount of money." But individual website accounts - such as for Uber - are worth more, he says. "The people who are selling on these websites do have a reputation to maintain," Murdoch says, "and they try to make sure they are selling a good product - albeit an illegal one. Many do offer refunds, so if it doesn't work they'll give you another one for free." There are even guides on sale, teaching buyers how to use their illegal accounts, reports Motherboard. The hijackers are apparently advisedto login via the website, rather than the app, for example. 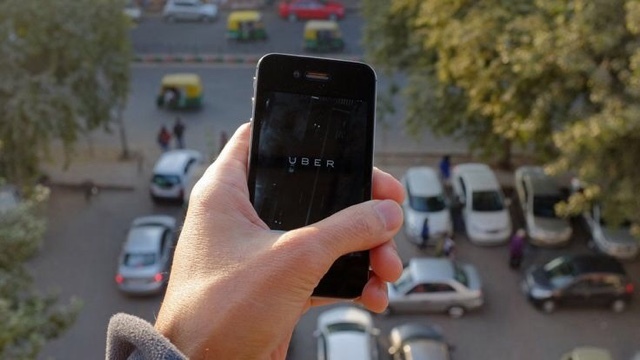 Uber is taking steps to heighten security. Any change in name, number or email address will now require text verification to confirm it's you, Porter says. "If there is a suspicious vibe on an account then the original phone number associated with that account will get a text saying, 'Someone's trying to book a ride in this country, is this you?'" There's also the possibility for greater police cooperation. 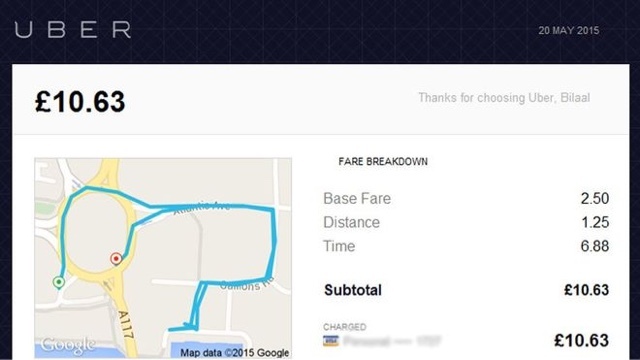 In theory, a suspected criminal in an Uber is being tracked the whole way. "If you can alert the driver in time, while they're still in the car, surely they can just drive straight to the police station and hand them in," my dad suggests. If it's possible to pinpoint exactly where someone is at a given time, Murdoch adds, maybe the fraudster's been caught on film at some point too. Porter says Uber is already in contact with relevant authorities and cooperating in ongoing fraud investigations. Other suggestions surfacing online question whether Uber drivers could be involved, especially given the bizarre routes of some fake trips. "A fraudulent driver could book people to use their own service," Murdoch says, using a fake account and driving wherever they want to increase the price. "But I'd be surprised if that actually works out," Murdoch adds. "If it keeps on happening then Uber will just take the view that it's too suspicious and take the money off the driver." In fact, Uber's promise to reimburse victims of fake trips extends to drivers too. We make sure the driver, who is also kind of a victim in this, gets paid. So no one will lose out," says Porter. Bilaal used different drivers anyway, including for his final £27.73 ride of the day. Having been in Essex at midday, Bilaal had kindly made his own way back to the A12 by 21:00, sparing my dad further expense. But then he took one hour and 21 minutes to travel nearly 10.5 miles - far from outrageous bearing in mind London's traffic. Except that his destination was 1.1 miles away - and he'd already passed it at least once during a journey that should've taken about six minutes, according to Google Maps. Oh, Bilaal. What were you up to? Official figures show that the numbers of people interested in becoming a London taxi driver have fallen and the car-booking phone app Uber is being blamed. But is this the beginning of a serious decline for the traditional black cab?